Michael Eric Phillips , who was a partner and then a director of Phillips Cutler Phillips Troy and PCPT respectively, having joined his brother John in the early 1960’s starting in the Wolverhampton office, has died aged 74. His skill was in housing across Birmingham and the Black Country for private, volume and one-off clients but it was in PCPT’s work in North Wales at Port Dinorwic, Beddgelert, Deganwy and Porthmadog that a series of design awards – including Civic Trust, RIBA Awards – were gathered. The small group of houses in the grounds of the Royal Goat at Beddgelert has the finest siting with its angular roof lines and spare materials, white render and harsh cottage vernacular merging so well with the lush landscape of inland Snowdonia, but it is Porthmadog which, although it took a little longer to gain recognition, remains the most significant design. 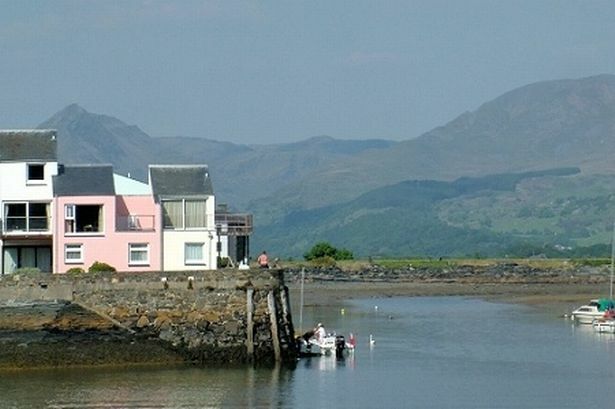 In the 1970’s permission was granted on the slate wharves as a holiday development. A series of long terraces of small segmental rectilinear units all fronting the harbour to the west, the sea to the south or the estuary to the east and it was in that order that phases – dependent on market conditions and sales – were built; it was the time of the three-day-week and the sale of one block allowing the next to proceed. Porthmadog was visited by Francois Sperry and Sir Bertram Clough Williams Ellis who both wrote articles in praise of PCPT’s brave designs and gradually public affection followed. Porthmadog slate wharf is now the gentrified South Snowdon Wharf and residents – who include many of those those who bought in 1975 – love it. Locally the scheme was described as ‘New York’ but today there is something so right about the almost brutalist design in the harbour setting and although some of the greys and sepia render colours are starting to change to Tobermory garish – Suffolk Pink and Coventry Blue – and the odd plastic door and window has appeared, it remains 1975 in Portmadog.